(2) peaches, which were not local but were promptly consumed by my children. I had 4.20 in bottle refunds from recent get togethers/parties/beer drinking at our house. I used a 4.00 oyno I had from the cheese deal I guess. You could easily make this deal sweeter buy just purchasing the $9.99 diapers and a $1.29 mini package of huggies wipes + 3 packages of socks for a total of $10.25 after instant $10 rebate and $3MFC for diapers. That's what I call a good deal!! 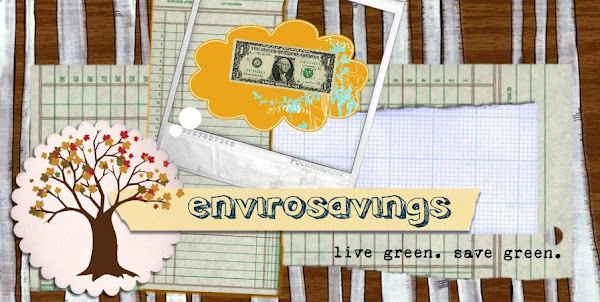 I recently ran across this great Detroit-area blog, called Macomb Money Savers. Since I don't ever do sales/match-ups here, I thought those of you Meijer shoppers who may be interested could bookmark that site. Also, I don't think I've posted it here before, but My Price Savings is a great site you can use to preview the Meijer ads for the coming week. The ads are typically posted on Friday afternoons, but sometimes as early as Thursdays. Keep in mind if you are in Ann Arbor or Ypsilanti the prices tend to run slightly higher. And finally, there are some fabulous deals at Meijer this week. They're running their 10/$10, 11th item free sale which means when you purchase 11 eligible items you will get each for 90 cents. Plus there are coupons available for many of the items which means you can fill your pantry, fridge and freezer for pennies. Be cautious with this sale though... there are items included that are typically less than a buck but the prices get raised for this "sale". The Gerber baby food is an example. Dole bagged salads @ 1.00 each. Buy 2 and use the 1.00/2 Mealbox coupon. Then go to the meat/seafood department of your Meijer store and look for the Meijer Living Naturally booklet, which has a 1.50/2 manufacturer's coupon. You can stack this with the Mealbox q to get overage. The only really good organic item included in this sale is organic mushrooms. I'll be getting a few, especially with the overage I'll have from the salad and coffeemate. 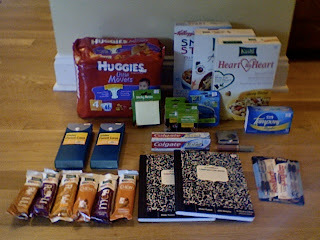 Also free or close to it with coupons... Betty Crocker Warm Delights and Land O'Lakes spreadable butter. Anyone see anything else? Also tropical fish are included in the 10/$10 sale. Which creeps me out for some reason. All things considered, a successful CVS trip. Lesson 1- Neutrogena makeup, though advertised as BOGO, did not ring up that way. I noticed after I was back in my car. Lesson 2- Huggies megas do not follow you out of the store when you leave them sitting on the ATM. I did not notice until I was home. I had to go back. I used a $10/$50 and 16.96 ECBs. Will receive 3.34 back as a rebate for the Smart Start, which makes my oop 11.87 (less than the sale price of the diapers! ), and I earned back 18.79 in ECBs. apologies in advance for the funky formatting--it won't let me change it? 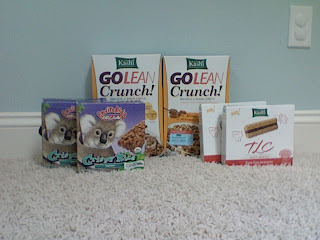 Use 3 printable coupons for $1.50 off each and get 3 boxes of Kashi cereal/bars for $0.50 after coupons and ecbs!!! *****also the Schick titanium razor will be free if you have the CVS coupon from the home mailer that came out a few months ago ($3 value) along with the $4 off insert coupon = $1.99 and get $2 back in ECBS. I've started doing some MIRs to get some freebies. This is something I've avoided in the past because they are a bit of a PITA and you often have to mail in your original store receipt which makes me nervous for some reason, but I'm getting over it. Anyway, Friday, I got a free Seattle's Best coffee...we needed decaf on hand and I found this rebate form, so I thought it's worth a stamp, right? paid with $4/20, $1 off True north mfr Q and 15.36 in ECBs.---$4.10 onto CVS gift card. Anyway, altogether paid $19.46 after coupons (includes ECB value and amt that went onto gift card) and got back $24.31 (ECBs and money I'll receive from rebates for free items)--well $23.43 if you factor in the cost of a stamp (are stamps $0.44 I have no idea anymore). A note of caution--on some items, you need the original receipt....some will take a copy (like the True North rebate), so be careful about getting more than one item per receipt, read your rebate form first. It's nice if they can print you a copy, but see post below for problems associated with that, depending on the cashier. Also, do the rebates right away when you get home so you don't forget and loose out! In which everything that could possibly go wrong, does. I made what was supposed to be a quick run to Meijer last night to catch a few of the good deals before the sales changed out this morning. I also had a Morningstar Farms coupon that was expiring so I wanted to get in on the Kellogg's Fuel For School Rebate since MS Farms is included, and is about the only Kellogg's product that we eat. I had two separate transactions. The first consisted of 10 boxes of MS Farms products @ 3/$10, and I had 7.75 in MS Farms catalinas and coupons, plus that 4.00 oyno cat from the Kraft dressing deal. So I paid 21.59, plus will submit for the $10 rebate which makes these 1.16/box after rebate. Simple, right? My damn receipt got mangled in the cash register. The surly teenage cashier handed me the top of this receipt, with smeared ink and nary a purchased item listed anywhere and started to ring up my next order. Ummm.... hold up please. Where the H is my receipt? After convincing her that I was not joking and actually needed a valid record of this transaction she called a manager who sort of retrieved part of my shredded receipt from the register and handed it to me victoriously, like we were done with this interaction. Not being satisfied, I sent her off to print me a copy of the transaction from her computer so I can staple it to my shreds, in the hopes that I'll still get my rebate. Looking back I should have had her return it all and re-ring it but I was in a big fat hurry because I had started my period in the frozen foods section. And I was wearing my white capris. No joke. Okay, so the first transaction was done and the second one began. All was well for the ringing up of items. My cashier was still annoyed but whatevs. I had ordered some .50/1 Kraft cheese coupons on Ebay and was planning to score a couple bags of shreds for a buck a pop. She started to scan my coupons and when the second cheese coupon beeped she handed it back to me and said, "You've exceeded the limit on this coupon." Huh? I bought two bags of cheese and I'm using two coupons. 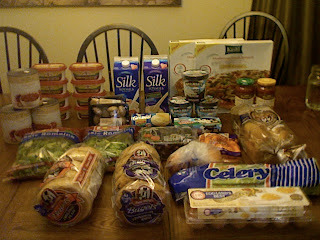 "Yeah," she snipped, "but the coupon says one per item so you can only use one." This is where I got really annoyed, because as we all know this is the most unambiguous language ever used on a coupon. And she clearly wasn't getting it. We went 'round and 'round and finally I said, "Did you inadvertently scan the first coupon twice?" She insisted that she hadn't. So I handed her one bag of cheese and told her to take it off my order. No way am I paying two bucks for 7 oz. of shredded cheese. When she took it off the order, it removed a coupon. "Oh, I guess I did scan it twice." My head almost exploded. That's when she hit the total button and I paid because I just wanted to get out of there. I paid 31.34 which, in my soul of souls felt a bit high but it was now past my bedtime and I just wanted out. I got to my car, looked at my receipt and realized that she shorted me FOUR DOLLARS in coupons. I did get back another 4.00 oyno for the Kraft dressing and some random catalinas (like for this Meijer Money... have you guys been getting these?) but that was little consolation for the fact that I may be out fourteen bucks betwixt the forgotten Qs and the potentially failed rebate. Total spent: 52.93, but I'm going to be hopeful and say 42.93 after rebate. Also: Meijer has Horizon Organic 1/2 gallons on sale this week for $3--pair it with a $1 off mealbox Q and the $0.55 off manufacturer's Q from the Cascadian Farms cereal peelie to get these for $1.45! Also, they have sales and mealbox Qs to match up with all kinds of IP Qs for Kellogg's products which would make for some great deals after this rebate. Morningstar Farms products also qualify for this rebate. Here is an IP link and you can print this twice if you use the back function after the first one prints. I also found pull ups for $2.50 per pack at Rite Aid today on the Clearance Rack. You can see from this picture that we were in dire straits over here with respect to our diaper situation. I tried to cover the ripped-into packaging with the Fusion razor but I think you can tell that I didn't do that good of a job. 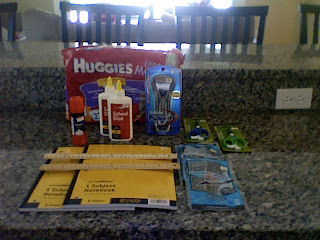 (1) tiny shaving cream @ .99, because you can't bring any human-sized toiletries on a plane anymore. They must be elfin-sized now. My husband and I are going out of town tonight for the week. Because there will be various combinations of three different grandparents here with our children I wanted to make things as easy as possible on the caregivers. Sooooo... frozen/prepackaged/easy-to-assemble food is on the menu. 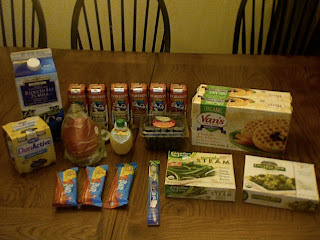 I combined my purchases for the photo even though the cereal and bars came from a second Target run. Lifeway Lassi is still FREE after the 1.00/1 coupon found in the Whole Deal booklet. Lightlife products aren't on sale, but they have .75/1 peelies on them which made the veggie dogs and sandwich slices 2.24 each. Raw organic OV cheese is on sale and there was a 1.00/1 tearpad on the display. Local organic zucchini is 1.99/lb. as are local vine tomatoes. Organic flame raisins are 2.99/lb and dried cranberries are still a decent deal at 4.99/lb. Back to Nature crackers are 2.50; use 1.00/1 Whole Deal coupon to get them for 1.50 each. Go Raw live food bars are 2.00 each. 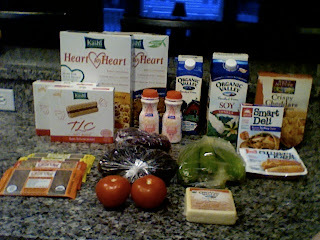 OV milk and soy milk weren't on sale but we needed both and I used a 1.00/2 from the Go Organic booklet found at Kroger. Paid $5 on a Target gift card, paid 1.16 oop. First of all, we've been hit with lots of illness here. Much of this is due to my husband's compromised immunity, and the rest is directly related to my kids licking everything they can get their tongues on. I'm fairly certain this is the case because I'm the only one who hasn't been sick. The second thing going on is this contest which begins on July 13th, and which I have entered. 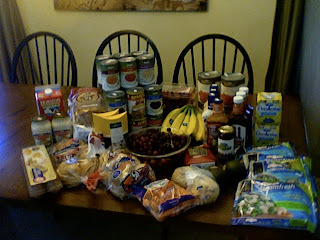 Because the budget for this contest is $25/week/person, and also because I'm feeling the need to step up the organic produce a bit more as well as adding in some supplements for Phil, I'll be increasing my grocery budget to $99 a week. This will still include diapers, cleaning products and toiletries. I'll still aim to keep my total bill as low as possible, but I'm allowing myself to stay under a hundred dollars in order to ramp up the nutrient-dense foods that my family needs. This is the season we're in right now, and I'm rolling with it.